Nothing gets you right up close to your sound like a good pair of headphone monitors. In a live setting, they let you monitor your music without distraction. In the studio, headphones offer the isolation necessary for pristine recorded tracks. 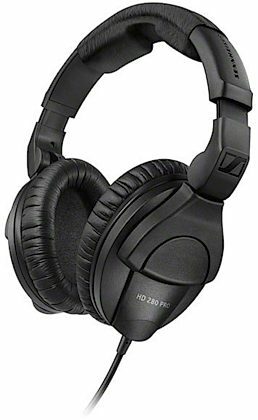 Regardless of your intended use, Sennheiser's HD280 Pro headphones have the features and performance you need to produce professional-quality audio. With seriously high output and extreme isolation, they're great cans for studio drummers -- or any producer who wants zero outside distraction from their tracks. DJs rely on headphones to cue tracks before sending them to the main mix. When the bass is thumping and the dance floor is packed, it can be difficult to hear yourself think, let alone hear the cue mix in your headphones. The HD280 Pro's closed-back design cuts external sound by up to 32 dB, effectively eliminating distractions. DJ's will also appreciate the single-cable design for one-ear monitoring. HD280 Pro headphones are just as helpful in the studio as they are on stage. Musicians need to hear what their bandmates are playing to lock in the groove. but you don't want this sound bleeding into their tracks. With a headphone amp and enough HD280s for everyone, you're sure to get pristine results. The thick, padded ear-cups keep the monitor mix inside while providing comfort for extended tracking sessions. Weighing in at only 220 grams, the HD280 Pro lets you record all day without fatigue. In small home and project studios, space is always a concern. 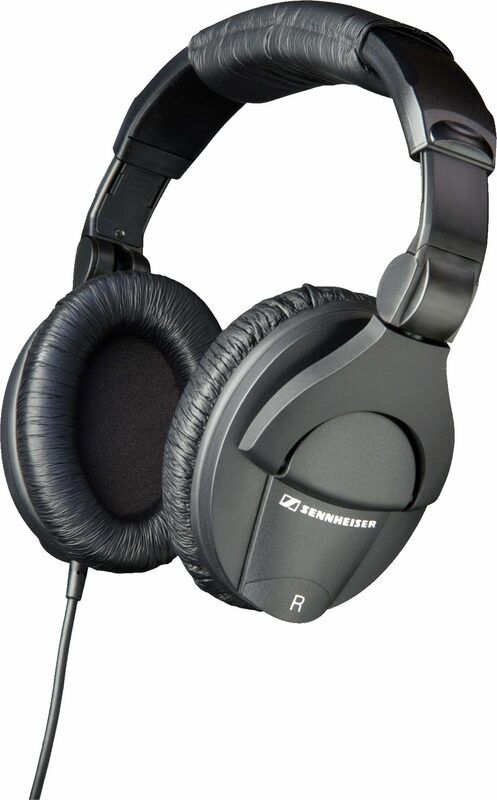 Sennheiser's innovative design allows these headphone monitors to fold up for convenient storage, keeping your studio organized and functional. Rough treatment can damage any set of headphones, but virtually every component on the HD280 Pro can be easily replaced. Whether it is the adjustable headband, the collapsible earpieces, or the coiled cable, you can fix what's broken for years of quality performance. - 1 screw-type adaptor to 1/4"
Overall: If you want a set of studio headphones that does not add any additional bass sound to what you are listening to then these are it. I wanted a good set of quality headphones for my amp that would allow me to hear the true sound my amp was producing without all the additional bass tone that other headphones give you. This helps me to hear my settings the way they should sound if I were to ever play in a live setting. Great headphones. Style of Music: Anything but Hip-Hop. Sound: I play drums - electronic and live - these headphones reproduce the live experience as well as headphones can - they have range and crisp detail that never fails to delight me. I recommend them to anyone. Feature: The 1/4 inch plug unscrews to reveal a 1/8 inch plug for your iPod etc. - not looking for anything else. Ease of Use: Nothing to it - more power is better - these headphones can take it if your ears can. Quality: Beautiful headphones - tight fit, low noise leakage. Value: Well worth the money - you'll love these headphones if sound is your issue. Manufacturer Support: Never talked to 'em. The Wow Factor: It really works well. Overall: Permanently.